There is no minimum hourly commitment. We do the work for you. New per diem opportunities are sent to your phone as they arise. When your shift has been completed, payment happens seamlessly and securely through the app. Only work when it works for you. That means you’ll always start and stop on your time – because with Medely, you’re in charge. Book shifts directly through the Medely app. Clock in or out of your shift and view your work history right from your phone. 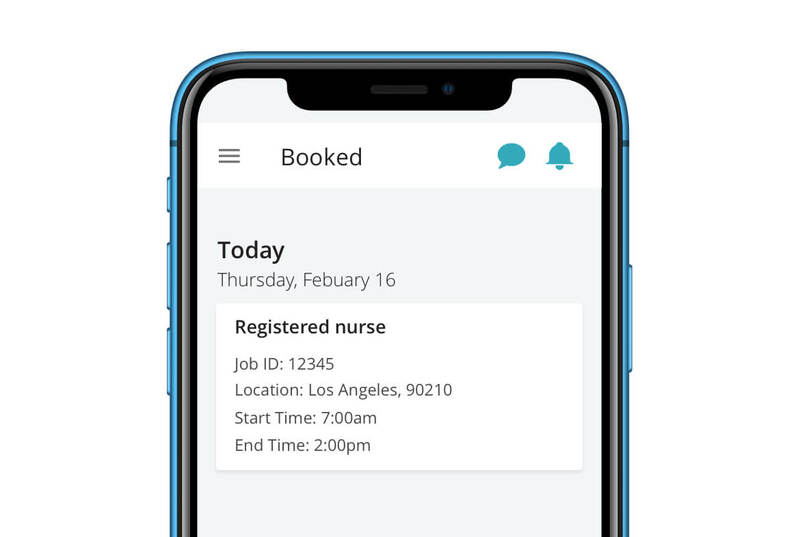 Medely is the first marketplace to empower healthcare professionals to connect directly to healthcare facilities for short-term and per diem jobs, instead of working through an agency. Healthcare professionals benefit from having full transparency on all job details, next day payment processing, and 24-hour support. Do I have to pay anything to use this service? Medely is completely free for all healthcare professionals. I already have a job. Can I work with Medely during my off time? Absolutely. You choose when you work. Build a full schedule or book a few shifts on the side. Do I need to make a minimum commitment to Medely? Nope, work as much or as little as you would like. Some professionals earn extra cash just working over weekends. Payments are transferred directly into your bank account on a daily basis. Is Medely Joint Commission Certified?